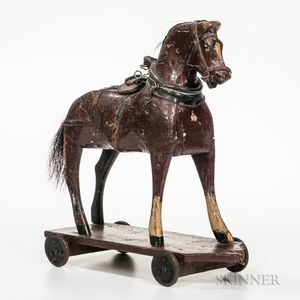 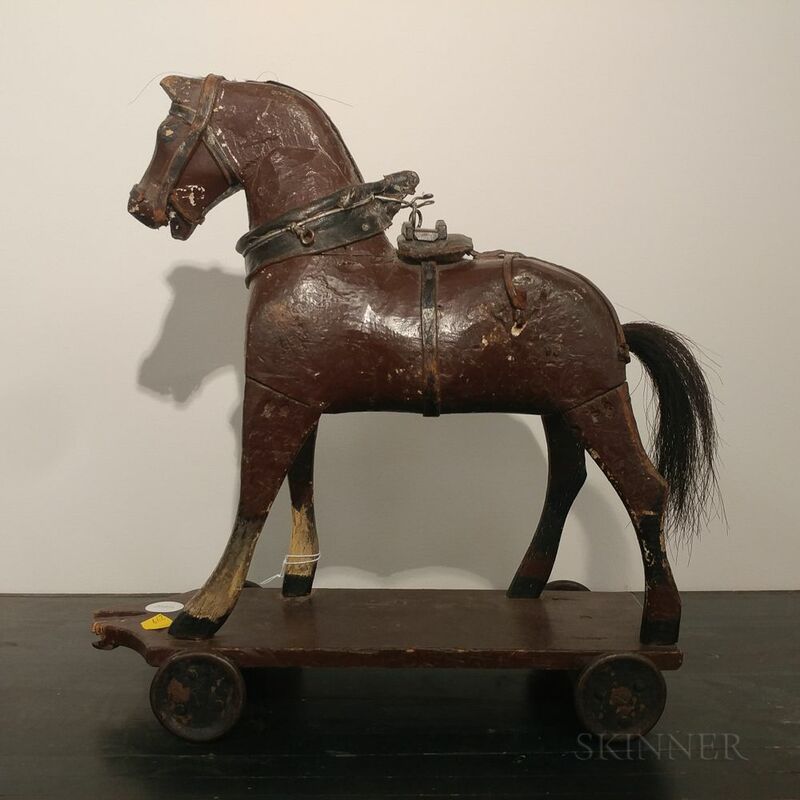 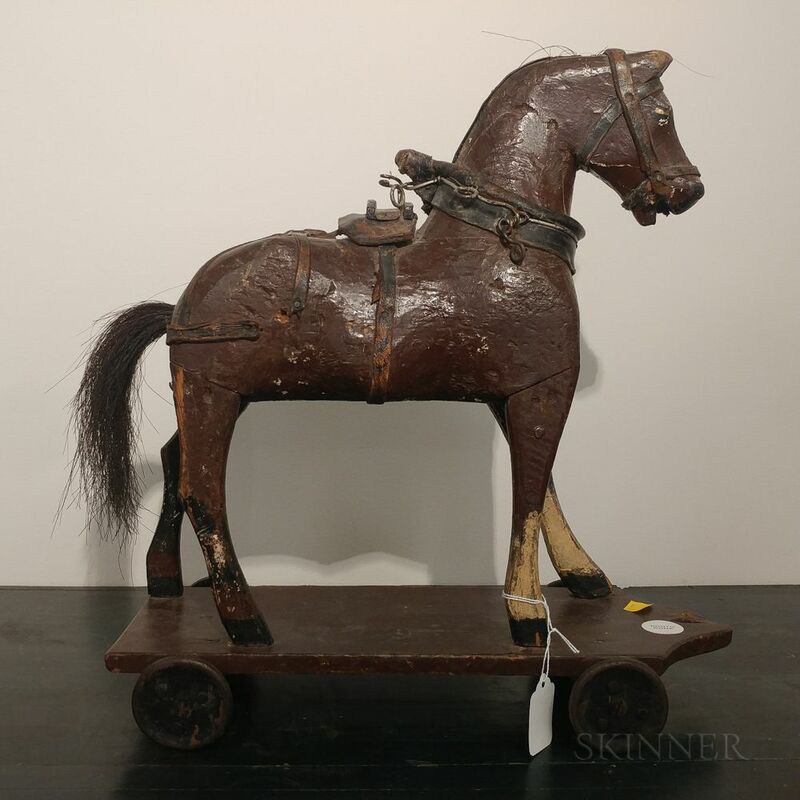 Carved and Painted Horse Pull Toy, late 19th century, painted dark brown and white with leather bridle, on a brown-painted wood base with iron wheels, ht. 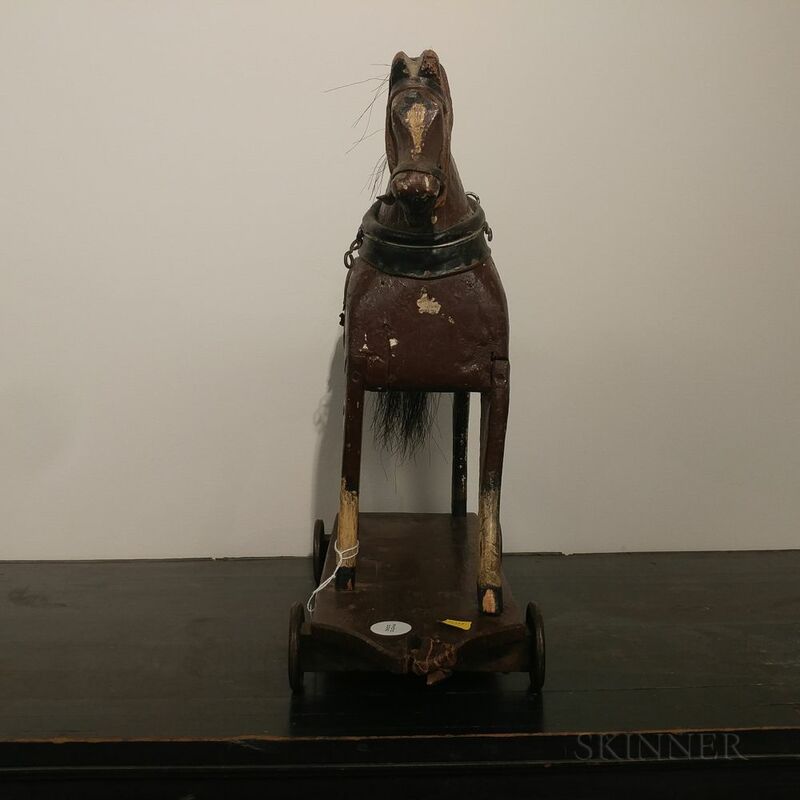 16, lg. 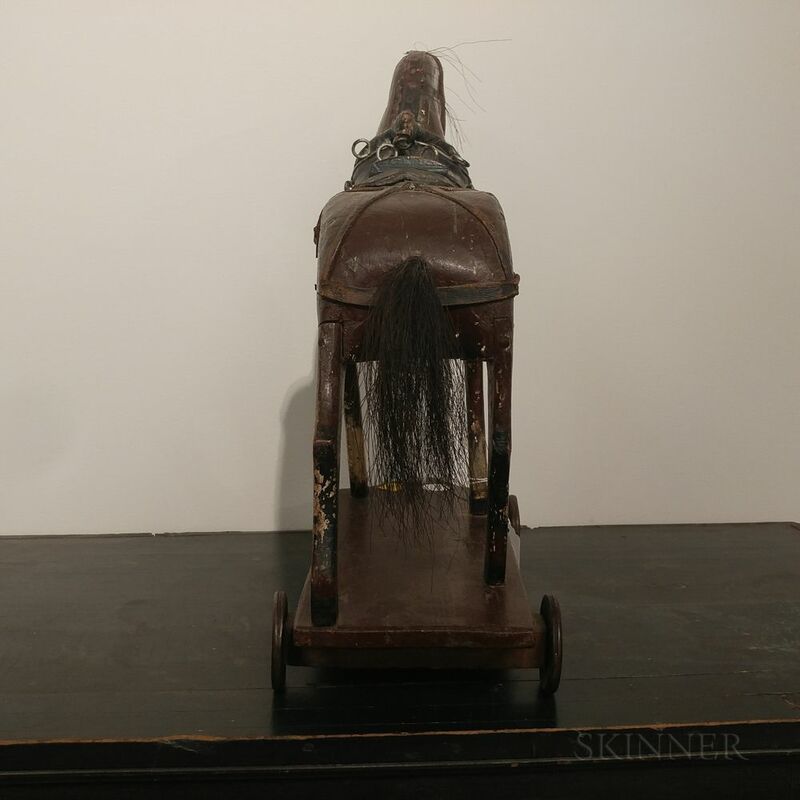 15 in.